Have you heard of What’s In My Handbag? 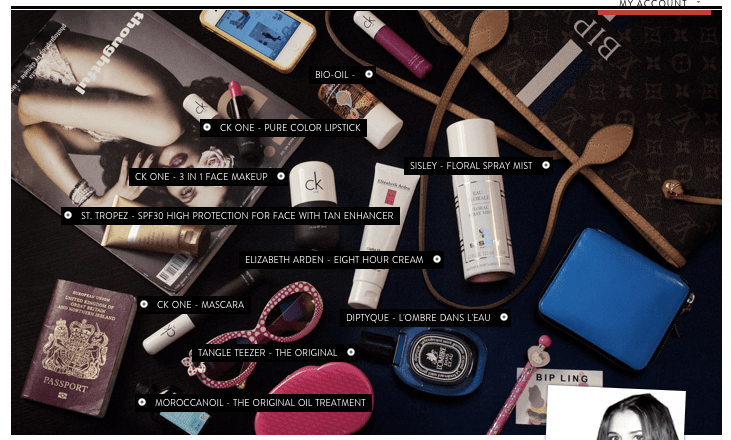 What’s in My Handbag is an online magazine that lets you peek inside the handbags of beauty, fashion and creative insiders. You can see the must have beauty items used by those in the know! There are also interviews, offers and competitions. You can shop for beauty items with great discounts too! One of their great perks is the ‘Try’s’ that they offer. Once you are signed up they will email you with offers to try free samples of makeup and skincare. 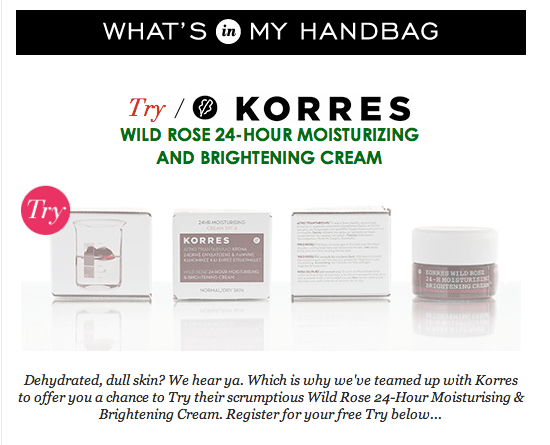 I received a lovely Jimmy Choo ‘Flash’ perfume sample a couple of weeks ago, and have now signed up for Korres Wild Rose 24-hour Moisturising & Brightening Cream. Try’s are on a first come first served basis so make sure you sign up for them as soon as you can!